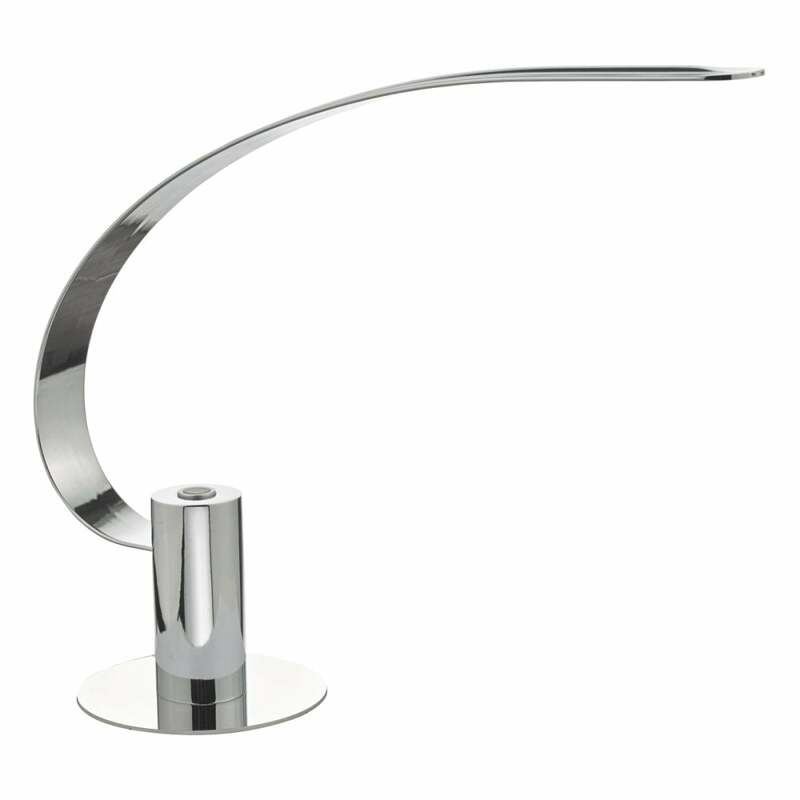 Dar Lighting Kyomi LED table lamp features a circular base with a sleek curved arm in polished chrome finish and an integrated warm white LED light. This simple design brings a fresh take on the traditional task lamp, adding a contemporary edge to any surroundings in your home. This contemporary light creates a lovely pool of light that is ideal for both focused working and the memory touch dimmer will create ambient light. This product code is KYO4250. Dar offers an array of stylish table lamps for all decors which can be viewed and purchased via our website.